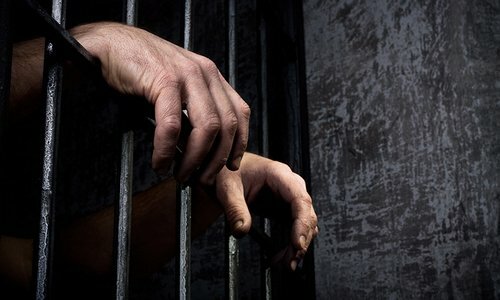 A Pakistani octogenarian fisherman languishing in an Indian jail and hailing from 100 Quarters in Ali Akbar Shah Goth of Korangi was beaten to death by the jail staff of the Indian prison, according to reports reaching here from India on Tuesday. The Fishermen Cooperative Society (FCS), said the fisherman named Noor-ul-Amin succumbed to his injuries inflicted on him by the Indian jail staff. The fisherman was arrested at sea by the Indian coastguard on September 30, 2017 during a fishing trip along with six other fishermen when their trawler drifted to the Indian side by mistake. He had been languishing in the Indian jail for the past one-and-a-half years. Leaving behind a widow and three children, the fisherman, according to the Pakistan Fisherfolk Forum (PFF), was an elderly person hailing from the Rohingya community settled here. “We were approached by the FCS to let his family know about his sad demise,” said Kamal Shah, a spokesman for the PFF. “Three different names were given to us as his father’s name and it took us a while to locate his family,” he said. “We got word that Noor-ul-Amin, son of Amin Chowdhry, had died in an Indian jail. Then his father’s name was given as Ameer Hamza. Finally, they said that his father was named Mufajal Ahmed, which helped us locate his family,” the PFF spokesman said. Sharing his shock and grief with the media over the passing of the elderly Pakistani fisherman, FCS chairman Abdul Berr said that while in Pakistani jails the Indian fishermen, who mistakenly entered Pakistani waters, were treated well and extended all kinds of facilities, the Pakistani fishermen caught in India were treated very badly. “It is extremely shameful and sad that Pakistani fishermen are ill treated in Indian jails, which is a grave violation of human rights,” he said. He raised concern over the poor Pakistani fishermen languishing in Indian jails for years without being given proper medical facilities.